What Crimes Are Eligible Under New North Carolina Expungement Law? Published on: November 1, 2017 | J. Bradley Smith, Esq. We have previously discussed a new law that takes effect in North Carolina on December 1, 2017. The measure deals with expungements and aims to streamline the process, making everything easier and faster for those looking to clean their record. Though we have discussed the existence of the new law and what it hopes to achieve, we have not yet spent time delving into details about the kinds of crimes that are eligible under the new expungement law. For more information about that, keep reading. Published on: July 5, 2017 | J. Bradley Smith, Esq. Typically, when you imagine a person using drugs or alcohol while driving you would expect that to lead rather quickly to a drunk driving charge. Though this is exactly the sort of situation that DUI/DWI crimes were meant to address, a recent incident in Atlanta highlights an odd facet of the system. According to law enforcement authorities, the fact that one driver was so far gone, clearly impaired and destructive, meant he actually managed to avoid a DUI charge. Now let’s explain why. Published on: December 1, 2016 | J. Bradley Smith, Esq. With so many holidays right around the corner, we wanted to take this opportunity to remind everyone of the imperative of calling your attorney immediately if you are arrested or face new criminal charges this holiday season. Published on: May 10, 2016 | J. Bradley Smith, Esq. James Lee Johnson was indisputably impaired as he drove to his Hendersonville, North Carolina home one night in February of 2013. 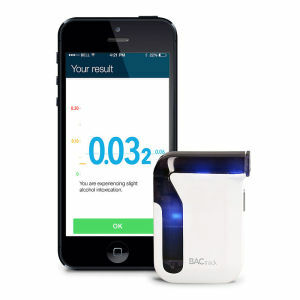 He blew a 0.13 on the blood alcohol test the police officer gave him—well above the legal 0.08 limit. The officer testified later that Johnson’s face was red, he was glassy-eyed and his speech was slurred. So how did Johnson just defeat a DWI rap?